Mostly you need to know any of above feature before goes for buy your device’s accessories (External Charger, Screen Protector, Back case) at online or regional store own self, without technical specialist. In many cases I experienced, Accessories are available on Product dimension not on the name title. Ex. iPad back case compatible on 7 to 10 inch iPad model. But I can help your matter in just a second, Follow me. I found amazing app that learn your device automatically and know the real all detailed technical specification. Choose your device types, Enter the name of your device or targeted device that’s you analyze. If you don’t know exactly that name of your device, go for next alternate way. This is offline application, Go to Apple Store > Mactracker app. Install in your iOS device, Launch app. 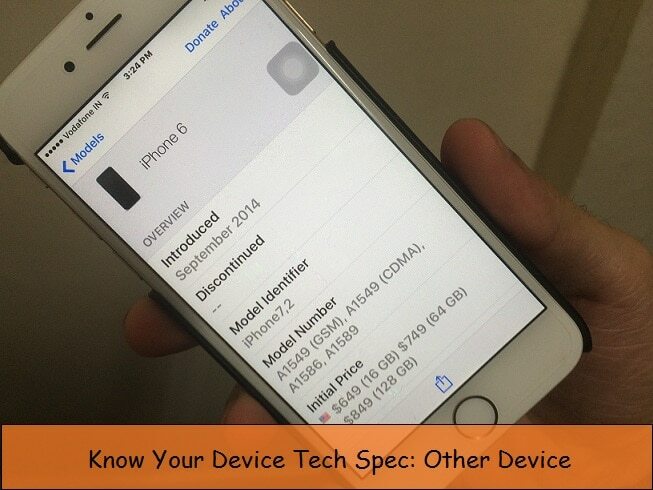 Under the General section, Tap on “This Device” My iPhone 6, Share screen. 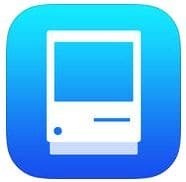 System Status: Activity Monitor, Manager: Get App, that’s make your iOS device all time refresh by easy memory management. Without serial Number of EMEI number know Screen resolution, Supported OS, Release Price, Data, Color Option and more full details.